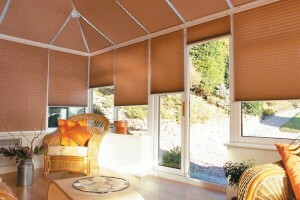 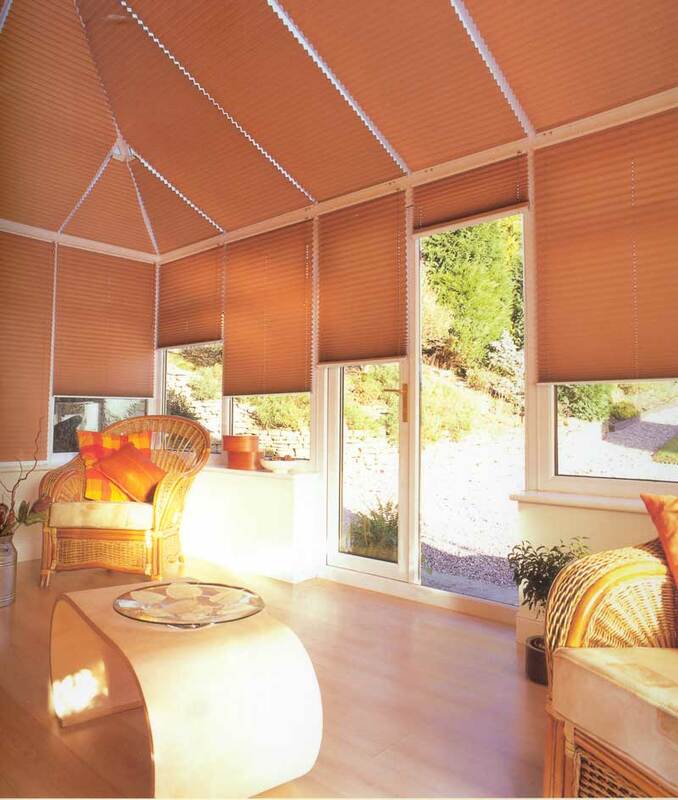 We have a wide range of blinds that suit installation into conservatories. 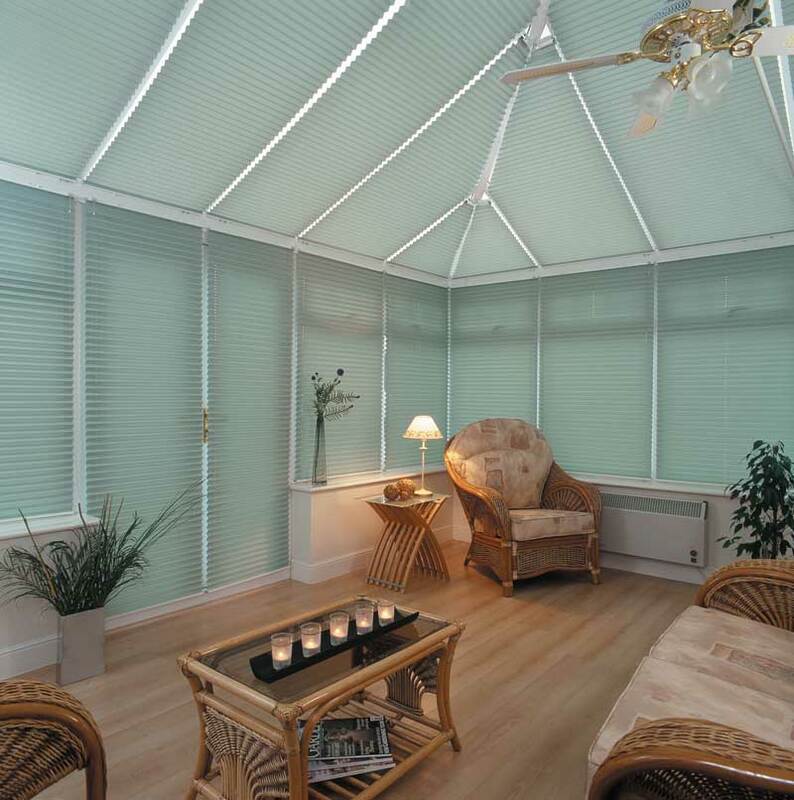 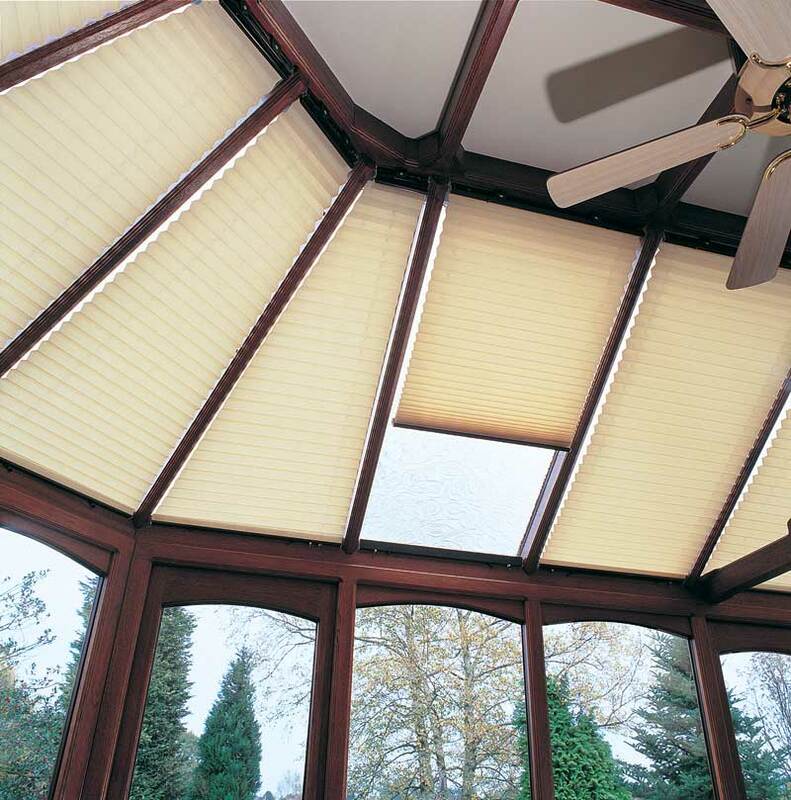 Why do we need blinds in conservatories? 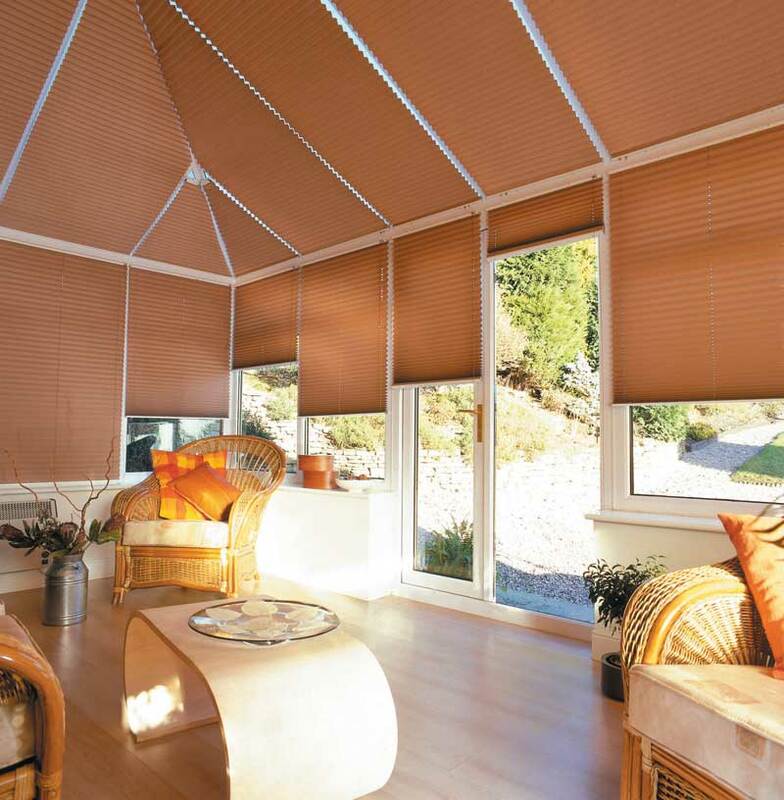 Well, in the summer months a set of well fitted blinds will help to keep the temperatures managable and stop the harmful UV rays from damaging your furniture and fabrics. In the winter months, the blinds will help you to keep the heat in your conservatory - reducing your heating costs and giving you privacy. 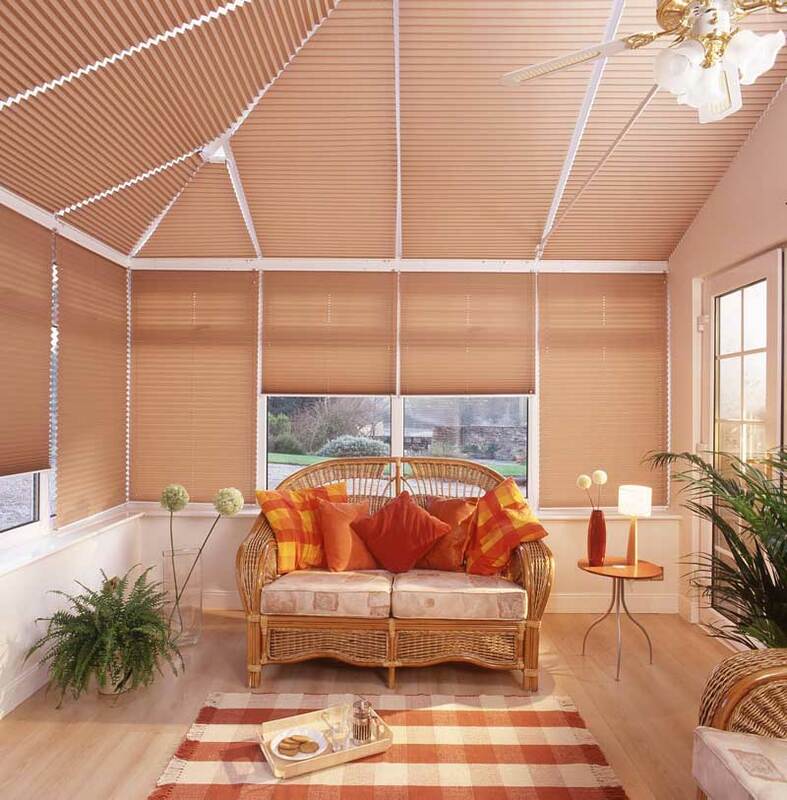 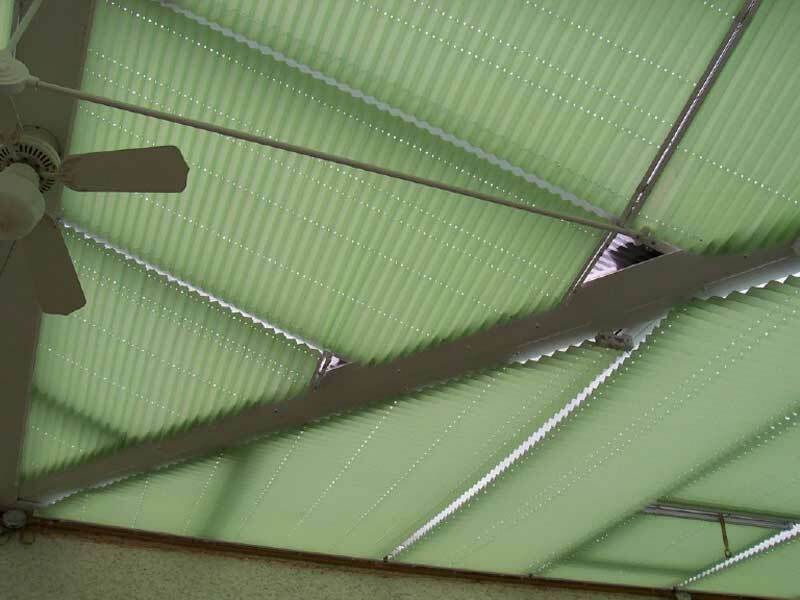 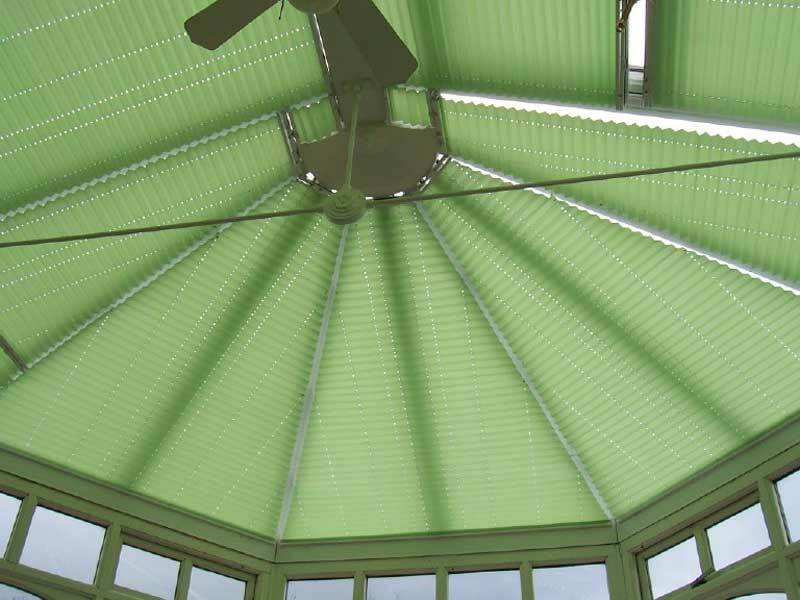 For roof blinds, our pleated blinds are the best option as they are made with solar backed fabrics to reflect the sun's heat back out of the room and to cut out the harmful ultraviolet rays. 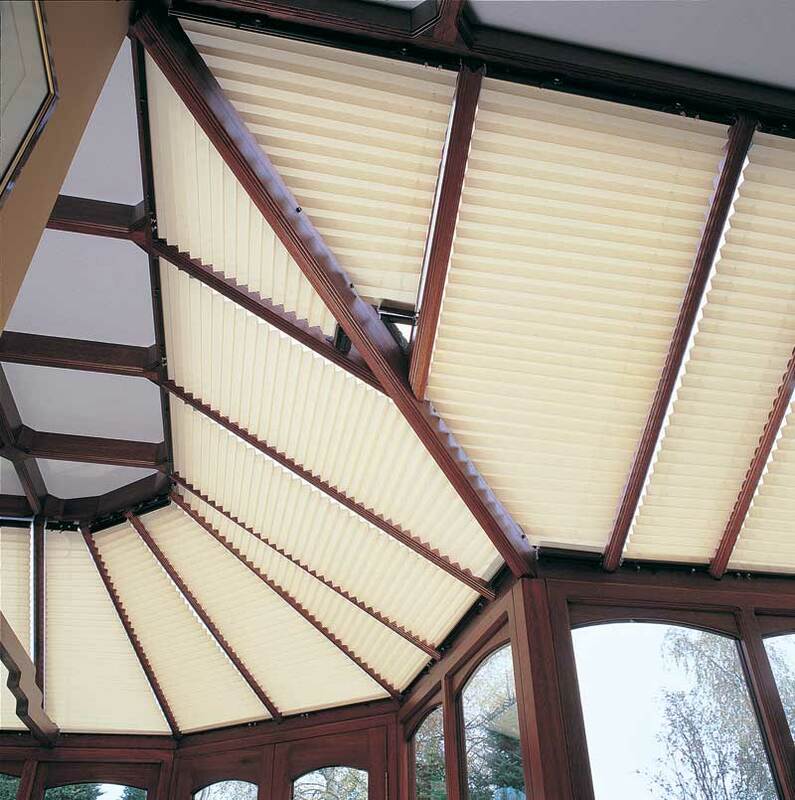 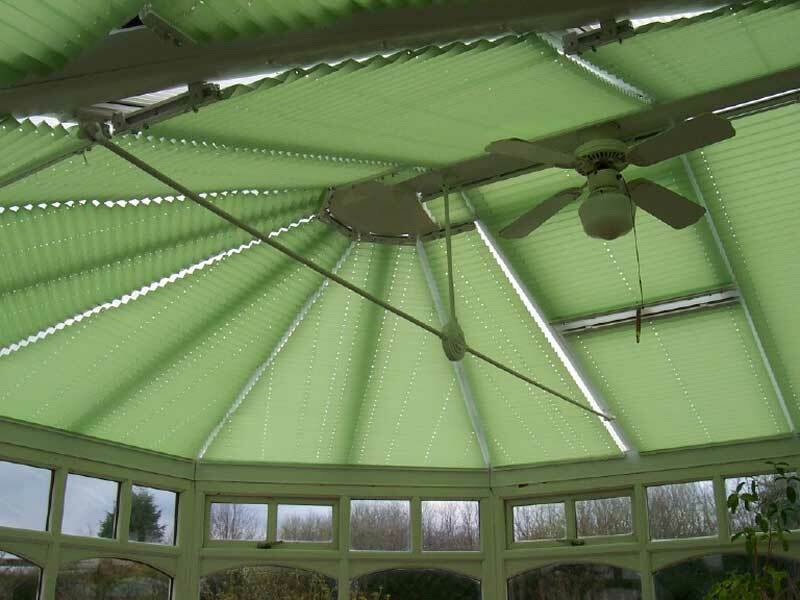 We can fit pleated blinds to complex conservatory roof shapes, so don't worry if your conservatory isn't a 'standard' design. 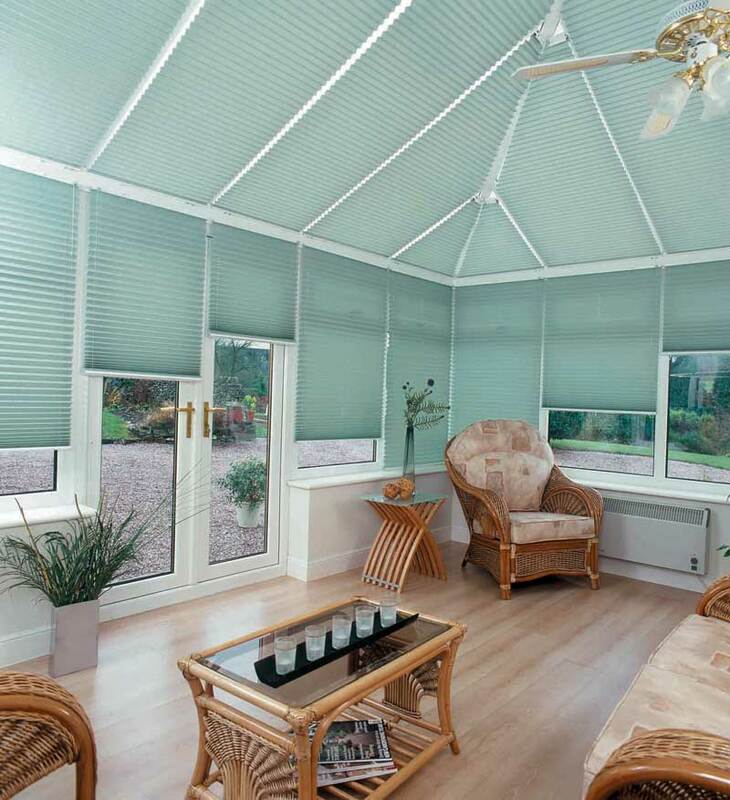 Remember, all of our blinds are hand measured and hand made to fit your conservatory - no matter how small or large!